We all encounter randomness every day — it is part of how we talk about the weather, sports, and even love. But despite being so familiar, randomness can be an elusive idea to pin down. 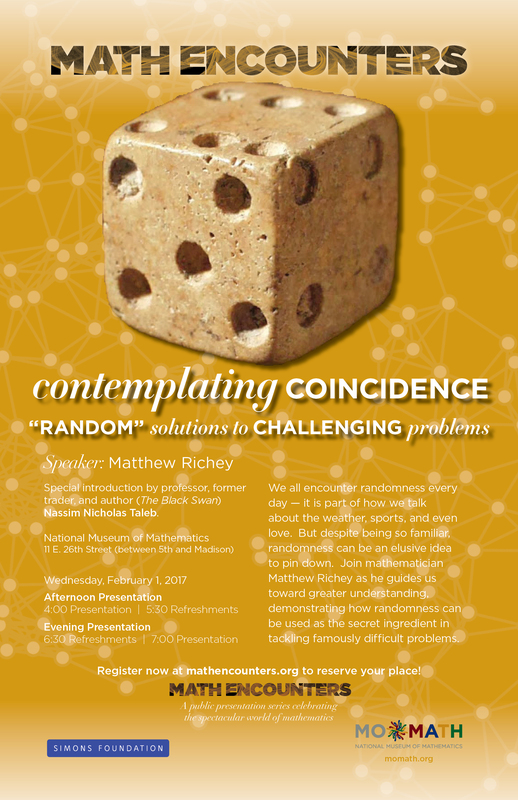 Join mathematician Matthew Richey as he guides us toward greater understanding, demonstrating how randomness can be used as the secret ingredient in tackling famously difficult problems. Special introduction by professor and bestselling author (The Black Swan and Fooled by Randomness) Nassim Nicholas Taleb. You are registering for the 7:00 session. Click here to register for the 4:00 pm session instead.